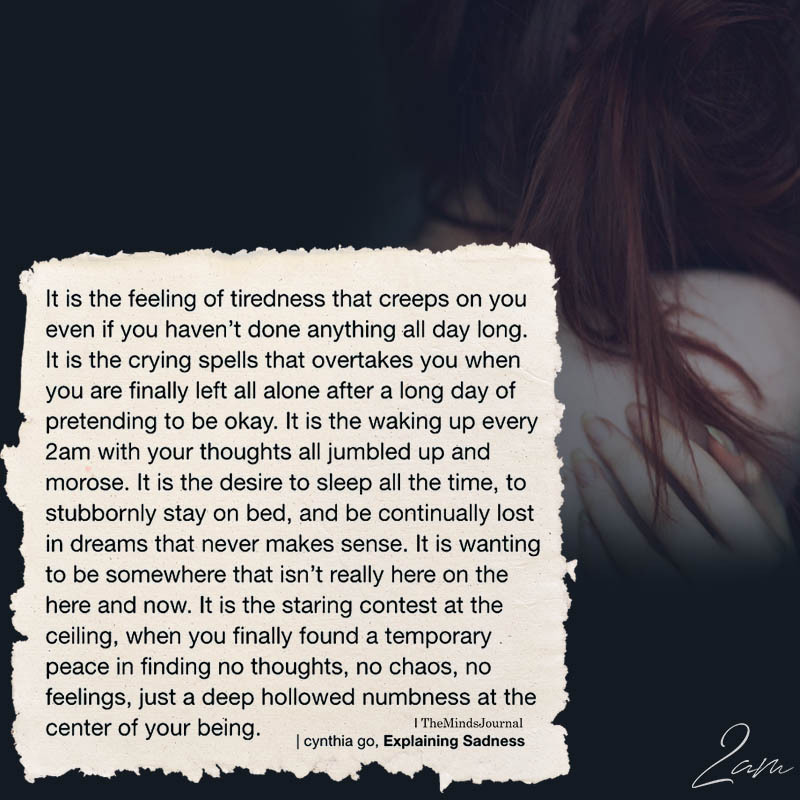 It is the feeling of tiredness that creeps on you even if you haven’t done anything all day long. It is the crying spells that overtakes you when you are finally left all alone after a long day of pretending to be okay. It is the waking up every 2AM with your thoughts all jumbled up and morose. It is the desire to sleep all the time, to stubbornly stay on bed, and be continually lost in dreams that never makes sense. It is wanting to be somewhere that isn’t really here on the here and now. It is the staring contest at the ceiling, when you finally found a temporary peace in finding no thoughts, no chaos, no feelings, just a deep hollowed numbness at the center of your being.